Though fearfully historically inaccurate, this adapted version of Pocahontas' life is entertaining and fun. The romance between Pocahontas and John Smith is lovely (though the sequel rather spoils it). Pocahontas shows John Smith the beauty of nature that he has been to busy to see. Meeko and Flit are two funny sidekicks that add the humor to the story. The pair keeps you laughing when the rest of the story looks grim. The relationship between Pocahontas and her father is also very sweet. Pocahontas shows everyone to stand up for the things they know are right. This movie was simply stunning. Every frame was absolutely beautiful. The trees and the sky and the clothing and the animals all had such vibrant colors. Every moment of the film that displayed nature, be it river or hill or waterfall, were so breathtaking. Most people look to the scene depicted in the above gif as the most visually stunning, but the whole film was so lovely that I don't know how anyone could pick a favorite moment. Alan Menken, aka the king of Disney music, always does well with the films he writes for. This film is no exception. You can tell by listening to his other scores that he is always able to accurately capture the true heart of the film he's writing for. 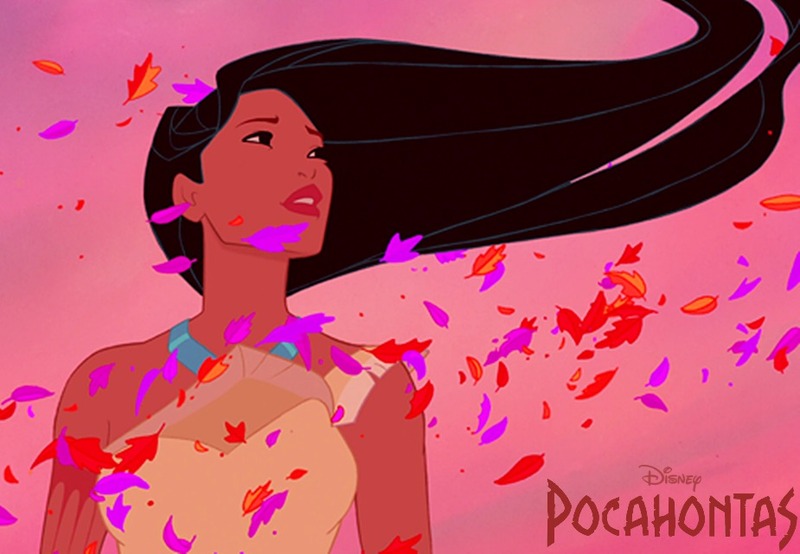 He was able to capture the free spirit feel of Pocahontas and put it into the music. My personal favorite from the film is "Just Around the Riverbend," though all the songs are fun and catchy. Pocahontas is such a beautiful film in every way. I love to watch it and sing along to all the catchy songs! I'm giving this movie Five Mickeys. This is definitely one of the best films that came out of Disney's "Golden Age!" Have you watched Pocahontas? What is your favorite part? Pocahontas is such a good movie, and they got such awesome voice talent! David Ogden Stiers and Mel Gibson and Christian Bale are just all the best. :D Also, I think it's funny that this is such a good movie despite the glaring historical accuracies but if you even acknowledge the second one which attempted to rectify those inaccuracies was TERRIBLE and I've already acknowledged it more than my principles allow.